A team of researchers from Finland might have solved world hunger. The scientists just produced a single-cell protein from electricity and carbon dioxide, and it can be further developed for use as food or animal feed. Renewable energy sources such as solar can be used to produce the protein. The final product is a nutritious mix of more than 50 percent protein and 25 percent carbohydrates with the rest consisting of fats and nucleic acids. “In practice, all the raw materials are available from the air. In the future, the technology can be transported to, for instance, deserts and other areas facing famine. One possible alternative is a home reactor, a type of domestic appliance that the consumer can use to produce the needed protein,” said Juha-Pekka Pitkänen, Principal Scientist at VTT Technical Research Centre of Finland. The Food from Electricity project is a collaboration between VTT and Lappeenranta University of Technology (LUT). The next step for the researchers is pilot production to work on improving efficiency and to test scaling up for commercial use. Currently, the production of one gram of protein takes around two weeks, using laboratory equipment that is about the size of a coffee cup. Pitkänen gives a 10-year timeframe for the product to become fully commercialized. “We are currently focusing on developing the technology: reactor concepts, technology, improving efficiency and controlling the process. Control of the process involves adjustment and modelling of renewable energy so as to enable the microbes to grow as well as possible. The idea is to develop the concept into a mass product, with a price that drops as the technology becomes more common. The schedule for commercialisation depends on the economy,” said Professor Jero Ahola of LUT. The technological breakthrough could in a decade not only provide plentiful cheap and nutritious food to people around the world, but also decrease global greenhouse gas emissions emitted from industrial livestock production. Producing animal feed could also free up land for other purposes such as forestry. 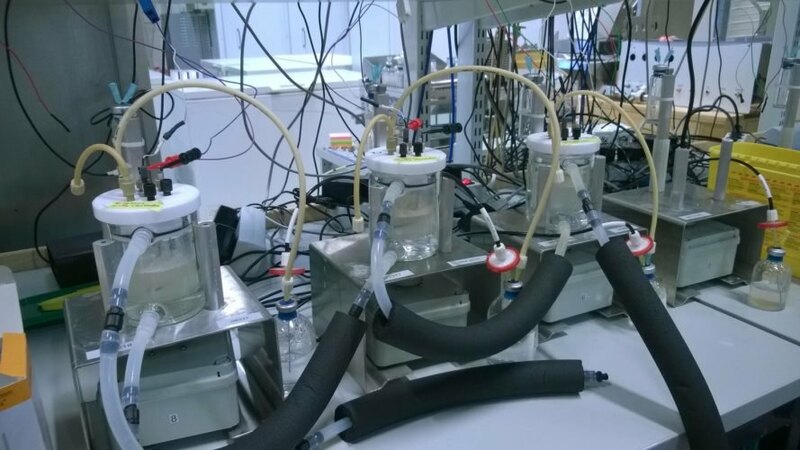 Finnish scientists just produced a single-cell protein from electricity and carbon dioxide. Renewable energy sources such as solar can be used to produce the protein.